Time to review a new product! And I do mean new since it only hit shelves a few weeks ago or so. 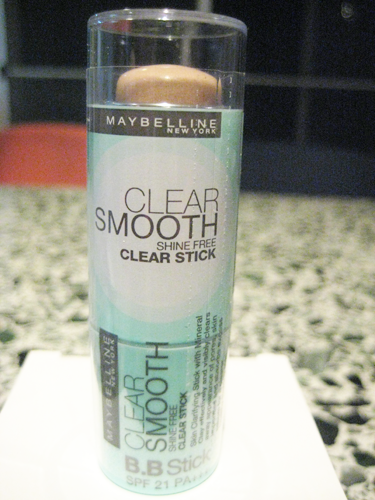 It's Maybelline's Clear Smooth BB stick. I was immediately attracted to this product because a) I'm into anything BB related, whether it's creams, powders, or sticks and b) it's from Maybelline, such a famous and well-trusted brand that produces some of my most favorite beauty products. As you can see, the packaging itself is simple, but cute and compact! Something you can easily slip into your beauty kit if need be. 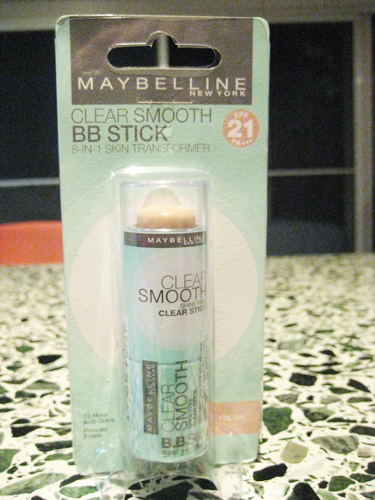 Clear Smooth BB Stick is a multi-benefit product that combines the benefits of skin care, make-up, and sun block in a stick. It contains salicylic acid that helps clear away pores and imperfections, and mineral clay that helps control shine all day. Dermatologically tested. Recommended for oily or combination skin. Suitable for sensitive and acne-prone skin. The product comes in two shades: 01 Fair and 02 Natural. 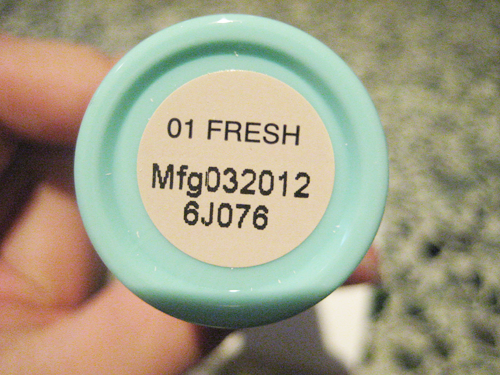 I got 01 Fair and it matches my skin tone extremely well, whereas 02 Natural is two to three shades too dark for me. 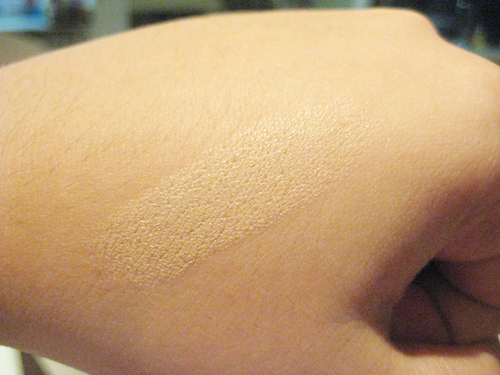 A swatch of the product under artificial light and unblended. It practically disappears into my skin once I blend it in well. Okay, take note that I have temperamental, combination skin. Generally my t-zone is oily, and the rest of my face, particularly my cheeks and the edges of my nose can get really dry. I also say temperamental because there are days where my t-zone, my forehead especially, actually gets dry also. This is why it's very difficult for me to find products that suit my skin. Anyway, let's see how this fares on me! Applying it onto my face (I only washed my face and swiped on cleanser prior), I was disappointed to see that it emphasized my dry spots. Now you may be thinking that well, of course, I mentioned that my cheeks are usually dry naturally. But this product also said it would work for combination skin, right? On my nose where, alternatively, it gets oily, it did better and applied smoother on the top of and along the bridge of my nose since that's where it gets oiliest. But it acted the same way as with on my cheeks when I tried to apply it just around and the edges/end of my nose because it does get dry there like I also said earlier. My forehead, on the other hand, was feeling a bit dry the day I tried this out so it had the same effect as on my cheeks. However, I did seem to find a solution of sorts in using a liquid BB cream first of your choice (the one I'm using at the moment is TONY MOLY's Secret BB Cream Brighter), and using the stick simply as added coverage. The product still did emphasize my dry areas, but not as much as before using a liquid BB. Either way, I also recommend moisturizing very well just after cleansing, even just your drier areas, if you have a similar skin type to me! Thanks for doing this review. I was looking forward to trying this product when it hits the shelves here but think I will skip it now since I have quite dry skin. There's another shade 03 - Radiance. You're right about the shine-control bit. It's not as "controlling"